Glory Mlaki is a Tanzanian lawyer and human rights activist. She works with women and children in marginalized communities in rural areas, in refugees programmes under UNHCR, and in pastoralist communities with the Agency for Cooperation and Research in Development (ACORD). She focuses on sexual and gender-based violence, provision of legal aid and provision of legal education and human rights and rights to health/HIV/AIDS. 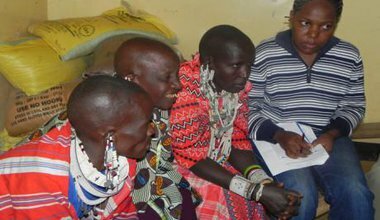 Vertical health service provision alone will not solve the gender-based violence and HIV challenges facing pastoralist women in Tanzania. More holistic, rights-based policies are required.